Traditional metal braces, ceramic braces, and lingual braces are all great options near Westford, MA for straightening teeth. And now there is Invisalign. Invisalign is the clear alternative to braces. Dr. John Walker, Dr. Liz Walker and the team at Walker Orthodontics are the experts in orthodontic treatment with Invisalign near Westford, MA. 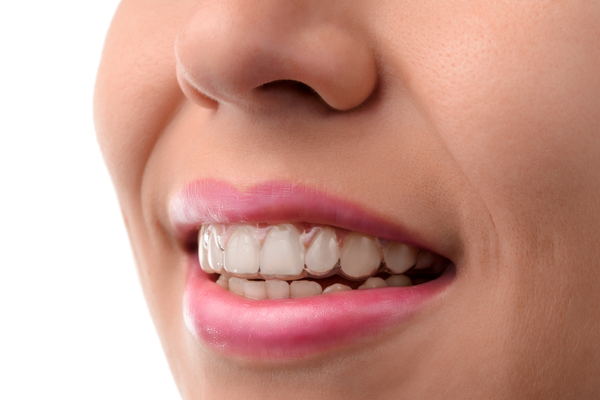 Invisalign is made of a clear plastic material that is comfortable to wear and nearly invisible. There is no poking or prodding from metal brackets and wires and no painful emergencies like a broken wire or bracket. Dr. Liz Walker says this makes for a more relaxed patient experience. Invisalign is the only system that is completely removable by the wearer. Patients can brush and floss their teeth easily and thoroughly and do not have to worry about trapped food causing cavities between metal braces.